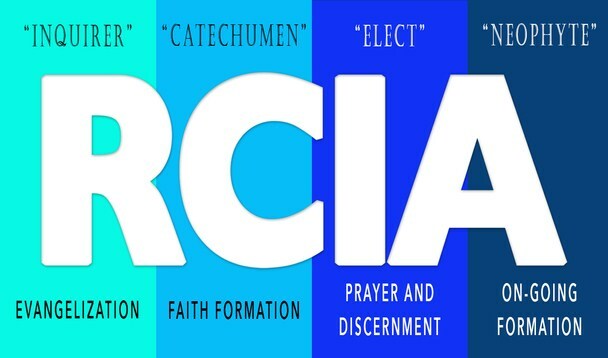 RCIA meets after the 9am Mass every Sunday year-round from 10:00-11:30am in the Parish Conference room at Our Lady's Academy. You can also check the Parish Calendar to see if RCIA is meeting on a given Sunday. contact Sharon in the Parish Office at 781-894-3481 ext. 2 or at parish@olca.org and she will have someone from the RCIA team reach out to you. 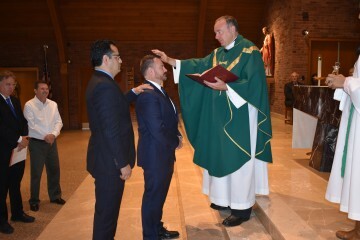 If you have completed the sacraments of initiation and are willing to share your faith with others, please contact us. 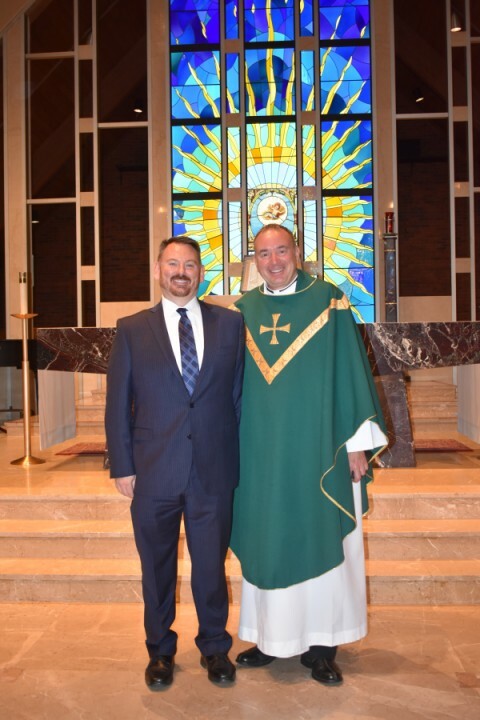 Congratulations to Justin McCallion who received Holy Communion and Confirmation on Septembe 23 at the 11:00am Mass. 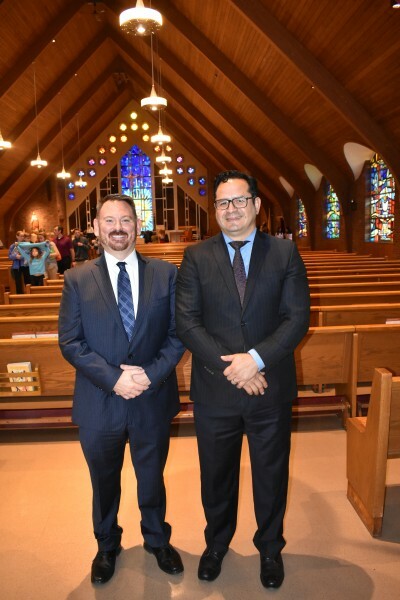 Shown along with Justin are his fiancee, Betty, Justin's family and the RCIA team.